We are in mid July and the jasmine harvest is in full swing. 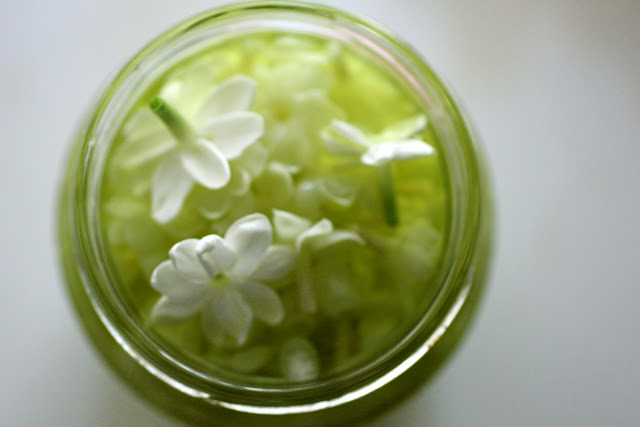 In the past I would harvest the delicate, white flowers in the morning. This year I am harvesting them in the evening at about 10pm once the new blossoms are freshly opened with their intoxicating fresh floral pure fume. The word intoxicating is defined as "causing great happiness", I can't think of a better descriptor for jasmine sambac flowers at the moment. Each night the harvest is different, sometimes it will be only a few flowers, tonight it was about twenty with an even larger harvest coming in the next few days. The cycle, like the moon, expands and contacts. 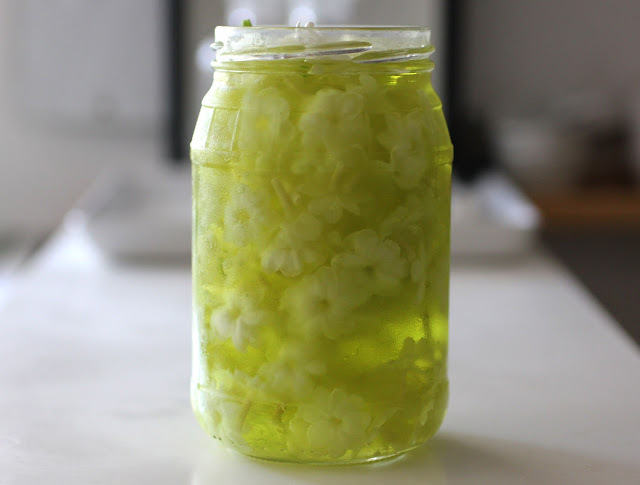 I keep the glass jars with the organic, grape alcohol and flowers in the refrigerator. Once the jar is full I will filter it, remove the spent flowers and continue to add more until once it is full again. Like the blooming cycle, the process of adding new blossoms is a cyclical pattern. 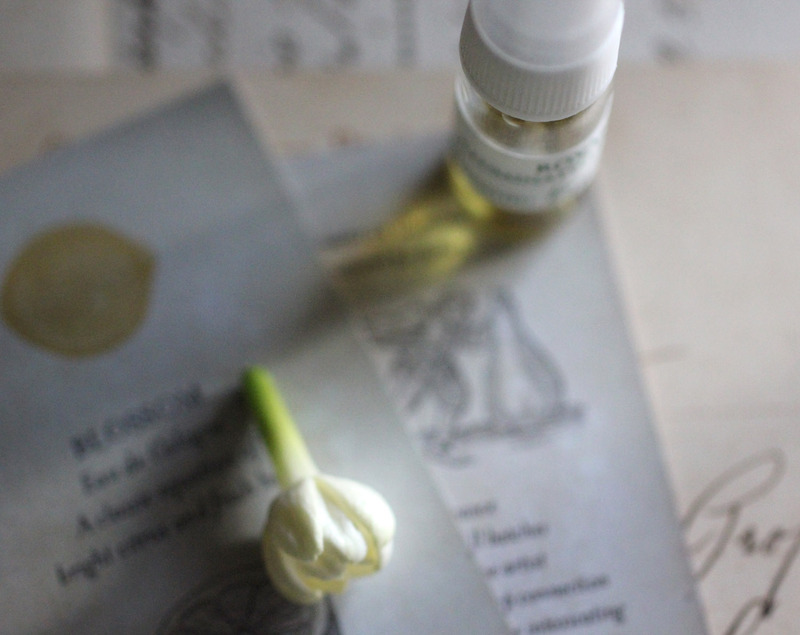 The 2012 jasmine sambac flower tincture appears in the new edition of Blossom, Chiaroscuro and Cimbalom liquid.. I've added samples in glass, mini spray bottles in the shop yesterday. 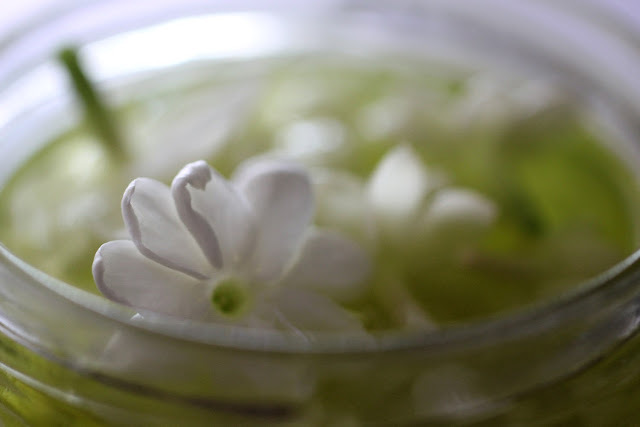 The jasmine tincture in progress will be featured in the next edition of Blossom and subsequent editions of Chiaroscuro and Cimbalom liquid natural, botanical perfume. It seems like only a few days ago i was looking at those plants at your house and you were telling me the story of your love for the fragrance and how you bring it to your own beautiful scents. Thanks for the update Roxana.